First try the FRLL with the Lock facing upward. Depending on the flowmeter model that may reduce flow change range or even lock the flow rate. 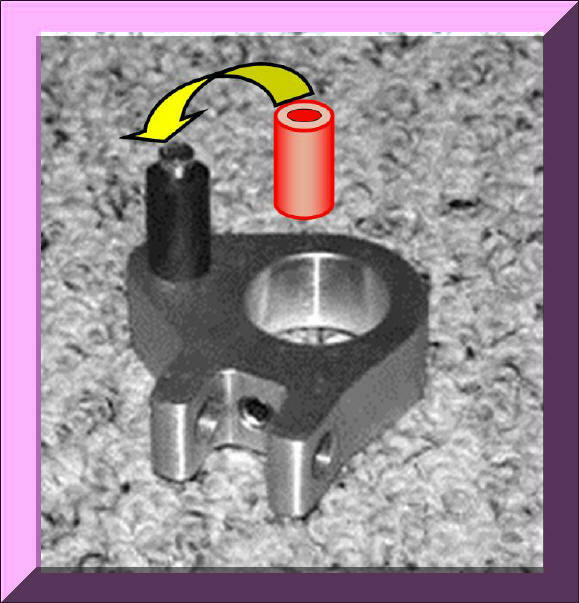 Another simple approach to limit the flow adjustment range is to install a short piece of 3/16 ID tubing over the stainless steel pin attached to the billet aluminum body (see photo below.) This will limit the amount the flow knob can turn. A small dab of glue on the stainless pin surface will make it difficult to remove the added tubing. If the tube or hose wall thickness used is too thin another piece of larger ID//OD hose can be glued in place over the first.